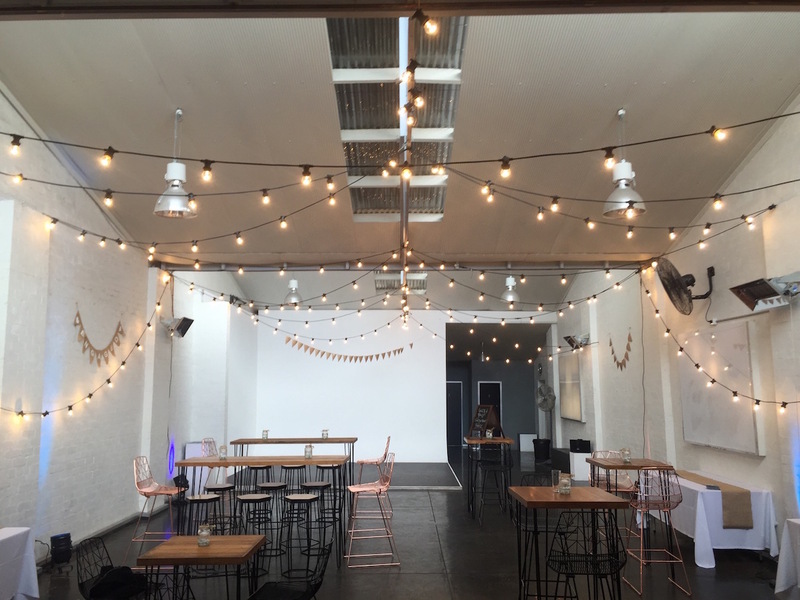 Festoon lights hung in a great converted warehouse space really set the mood for this classy engagement party in Richmond. 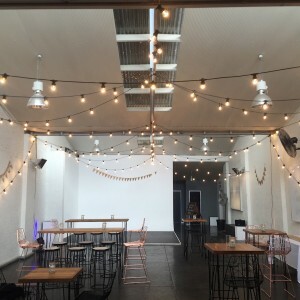 Festoon lights are a great way to light your function, either indoors, in a marquee or in the outdoors. Talk to Celebrate Event and Party Hire about how we can help with your lighting needs. We offer a full installation service if required – or do it yourself.